Could an occupational therapist and psychologist work together on issues in education? A musicologist and biologist collaborate on health research? A criminologist and a geographer partner to address environmental quality? We know that the big challenges of this century are complex and interdisciplinary by their very nature, and do not yield to a narrow approach or the knowledge of a single college or discipline. Yet sometimes we find it hard to step out of our own offices to find out who else on the other side of campus might be drawn to the same questions that drive our own scholarship and teaching. Our goal is to develop EKU’s “relational infrastructure” by establishing and supporting networks and pathways through which faculty can communicate and collaborate regularly—and from which new and innovative team-based research trajectories can emerge. Scholars Week is one of the Noel Studio for Academic Creativity's milestone professional development events. Held annually every April, Scholars Week celebrates, showcases, and promotes the rich culture of faculty, student, and faculty-student scholarship, research, and creative endeavors. 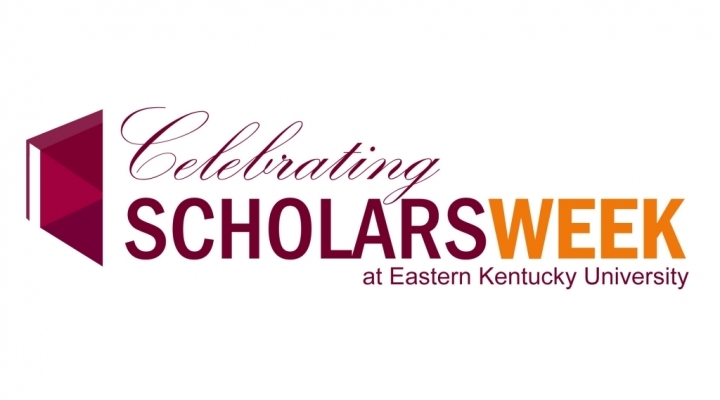 As such, Scholars Week supports the EKU University Strategic Plan 2020, especially 1.1.3: "Increase opportunities for faculty scholarship, research and creative endeavors, and faculty-student collaborations;" and 1.2.3: "Provide students the opportunity and support to participate in and receive recognition for research, creative, and academic endeavors."